Andy Radovic of Outrider has a nice high level piece over at iMedia Asia on the Japanese search market. Called "Searching for travel, the Japan way", it is the BOOT Recommended Read of the week. Paints a very positive picture of online travel in Japan - which is fair and true. When discussing Japan it is important to know that the success of online travel in Japan is despite the fact that the online travel market has not one but two hands tied behind its back. Firstly the two main airlines - ANA and JAL - still make it virtually impossible to conduct a search query that includes results for both carriers on domestic routes. This has crippled any efforts by intermediaries to sell air in Japan and led to the focus by the major online intermediaries (Jalan/Recruit and Rakuten) on accommodation. Secondly I have been reliably informed that there are very strict laws on the requirements for disclosure to consumers about the cancellation policies on package sales. When I last investigated this the cancellation policy for a package tour had to be explained to a customer. That is that it had to happen over the phone or face to face rather than a consent online. If this law is still in effect, then it eliminates the "hands free" sale of group tours online. That is the sale of group tours/travel without the intervention of a sales person. 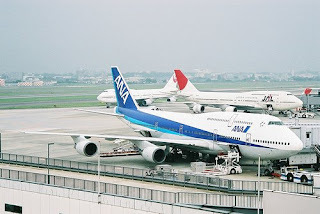 Hi Tim, as Andy points out in his article there are a tremendous amount of domestic trips taken in Japan and air is only one of the problems of integrated search. Good old Japan Rail is another as they too have a proprietary system that has a 1990's view (ie- "let no one outside in!") of distribution. Therefore the Japanese traveller has virtually no one-stop shop options whatsoever and needs to research JAL, ANA and JR all on their own. No wonder they're all working so late...! I came to know about japan market from your information..